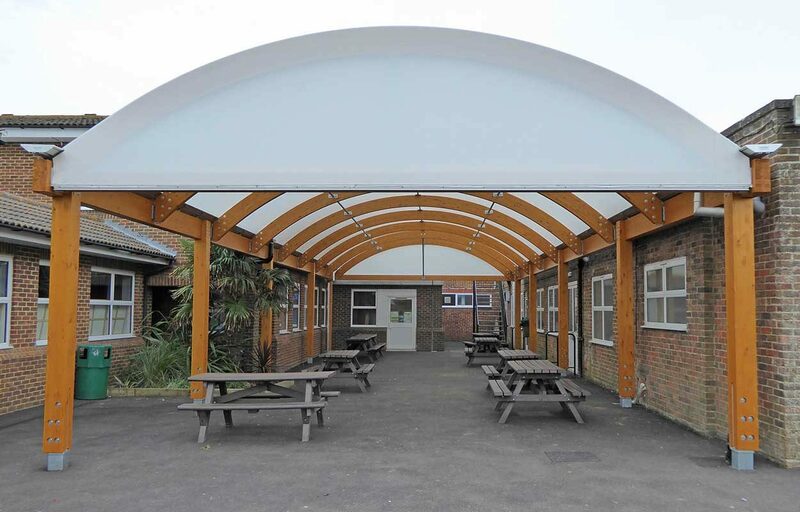 Fordingbridge were approached by Worthing High School to design and build a school canopy to utilise some space between two classrooms and provide a covered walkway. 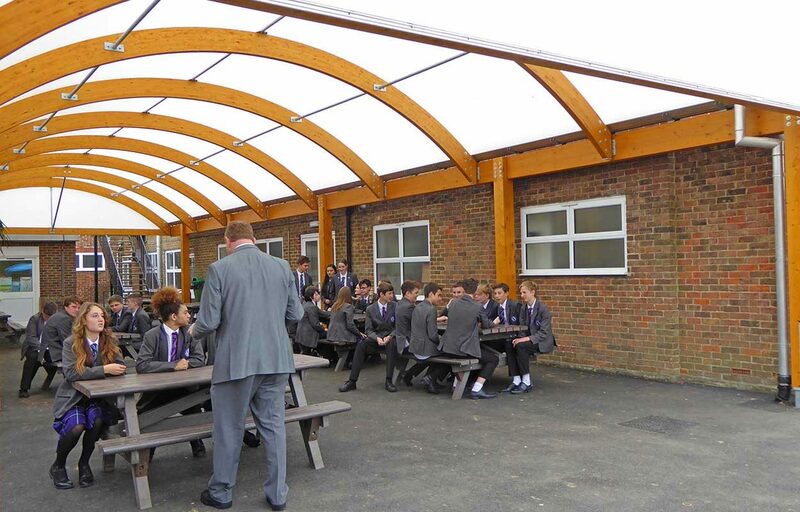 The 20m long x 10m span timber barrel vaulted canopy provides a practical space for learning that can be used to deliver many areas of the curriculum and during break time, offers perfect covered space with fresh air for either dining and/ or socialising. 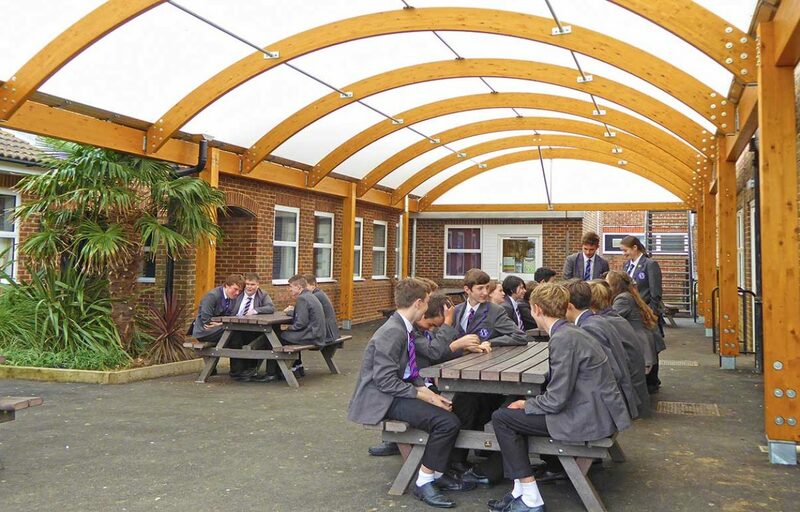 The walkways consisted of two barrel vaulted canopies both spanning 3m covering 17m of walkway in total. 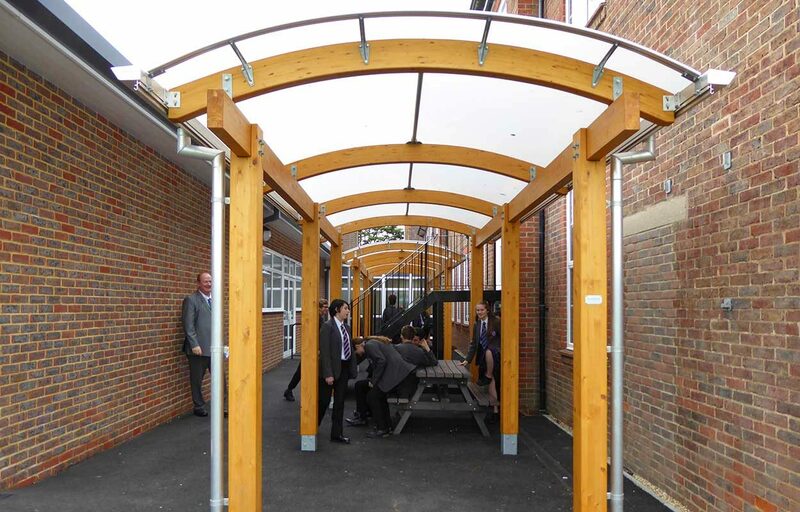 The entire project was installed during the Easter holidays, so the canopies were ready for a new term-start. 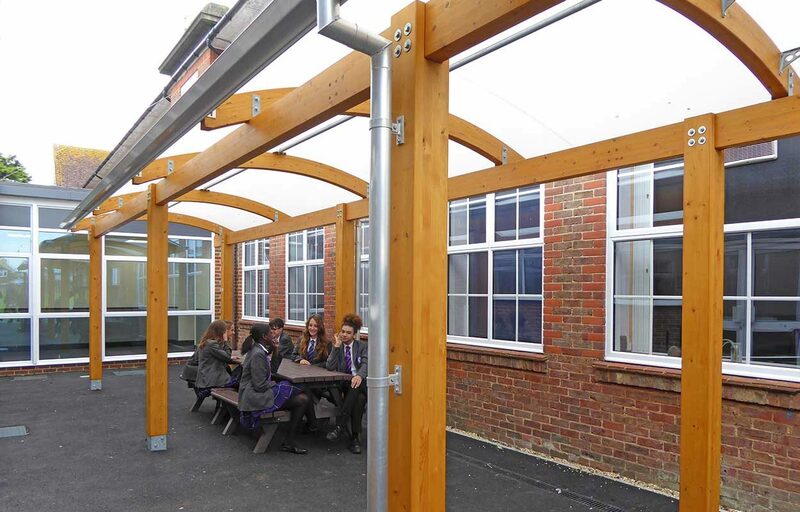 To soften the aesthetic of the canopies, a wood finish was selected. 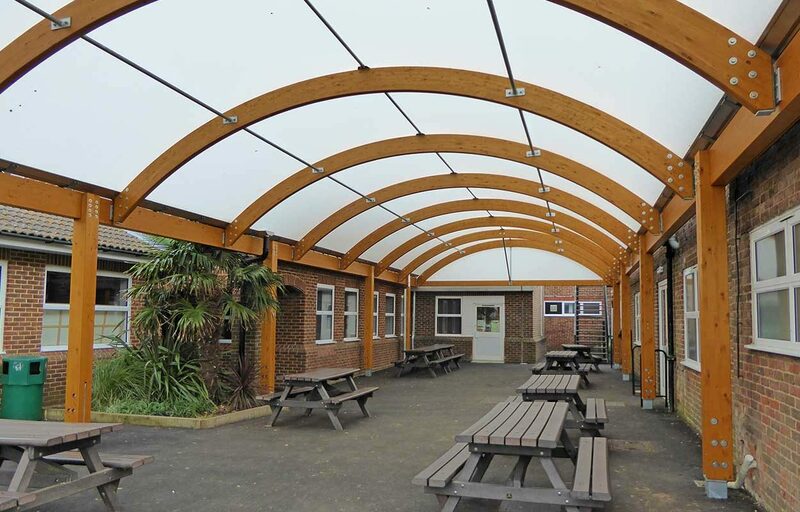 All rainwater is captured and channelled off the canopy in custom made aluminium guttering and rainwater down pipes which work with the building’s existing drainage. 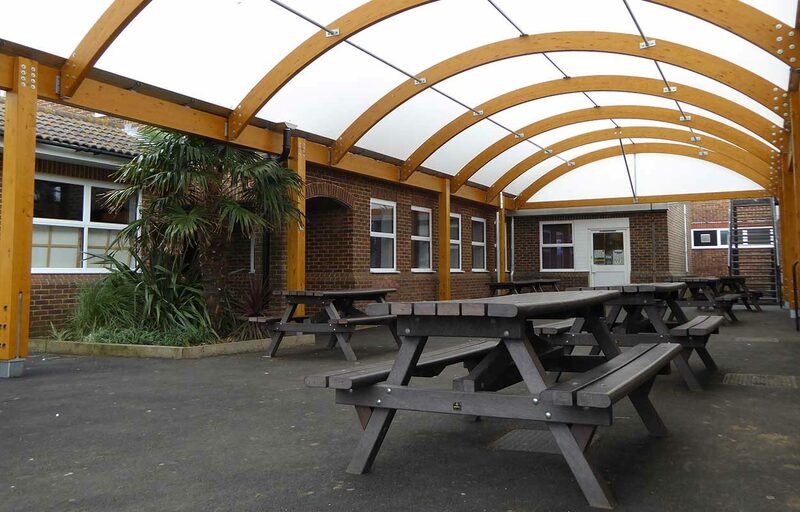 With over 50 years’ experience across the UK, our team offer a complete design and build service making your school canopy project stress-free from initial conversation through to handover on site.